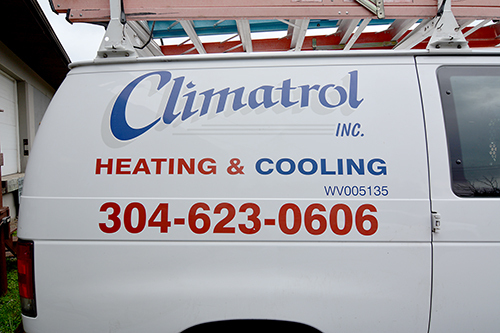 Climatrol has been offering natural gas air conditioners and repair service for local residents in Clarksburg, Bridgeport, and the local area since 1969. We are your trusted local HVAC contractor delivering exceptional cooling from Robur and Serval -two of the most reliable manufacturers of these durable natural gas-powered systems. Our team has the unique training and experience to provide the professional installation and repair service that your natural gas AC unit requires to provide exceptional cooling with lower energy consumption in West Virginia’s sweltering summer heat. Robur has been a local customer favorite for generations. With a variety of options to meet your needs, units are available in models that provide reliable operation in temperatures of up to 131 degrees. With low fuel consumption and the added benefit of heat recovery to provide your home with hot water with no additional energy consumption, these units can help you achieve significant energy savings. Climatrol’s licensed technicians are available to assist you with selecting the best unit to meet your home’s cooling needs. Robur’s units have few moving parts, leading to a long life and extended period of reliability. Most models can be operated on a generator, which is ideal for off-grid, emergency, or cabin usage. Water is recycled (instead of consumed) for maximum efficiency and simplified maintenance. For our most energy-conscious customers, consider one of Robur’s extreme efficiency models, whose consumption is approximately 0.75 kW (87% less than a similar electric model). The newest models of natural gas air conditioners offer superior energy-efficiency. While the efficiency ratios (SEER) of older electric AC units tend to be approximately six to seven, and the newest ultra-efficient electric models can have a SEER of 15+, natural gas air conditioners routinely offer SEER values in excess of 27. Temperatures are stable and the air is continuously circulated, providing exceptional comfort for your home. These units are ideal for both residential and commercial use, including hospitals, hotels, and public pools. Contact Climatrol to schedule a natural gas air conditioner consultation, request a quote, or schedule a repair service. Our staff is available to serve you at: (304) 623-0606.